I am on sabbatical for the next few weeks. While I am gone, I have asked some of my favorite bloggers to stand in for me. This is a guest post from Jeff Goins. He is the author of Wrecked and his forthcoming memoir, The In-Between. You can follow Jeff on Twitter or find out more about him here. If you want to get noticed in the digital age, waiting for someone to choose you is the worst strategy. You have everything you need to start sharing your message today—fingers, keyboard, and the Internet. Even if they don’t consider themselves writers, most people dream of writing a book. And there’s never been a better time to do so. The stigma of self-publishing is fading away, replaced by countless success stories from first-time authors making a name for themselves. How are they doing it? Simple. By publishing eBooks on Amazon.com. Amazon dominates the book market. Amazon’s review system is an authority metric (even if someone plans to buy elsewhere). Amazon is a marketing machine. Once you start selling a certain number of copies, it refers your book to others who have never heard of you. Amazon makes it easy. You can publish elsewhere, but few places get your book online and ready in a matter of hours. When you publish first (and maybe exclusively) to Amazon, you concentrate your sales in a single place and can climb the best sellers lists faster. The “vomit draft.” This is just what it sounds like—you’re throwing up on the blank page. Certainly not the most warming image, but you get the idea. Here, you will write the Table of Contents, sketch out each chapter, and put down all your ideas, scenes, and stories. Don’t make it pretty; just make it. The review draft. This is where you spend some time developing what you want to say and how. At this point, you should share the work with a few close friends for feedback. The editorial draft. This is where you get help from a professional or close friend who knows not only grammar, but story structure and elements of style. Each draft may, in fact, have multiple versions and iterations. But this three-step approach will help you get the work finished without endlessly stalling. Format it for Kindle. You can try this yourself using a program called Calibre, or you can just pay someone to do it—which I recommend. If this is your life’s work, it’s worth paying a few hundred dollars to get it done right. Design the cover. Please don’t skimp on this or have your cousin Vinny who just discovered PhotoShop “take a whack at it.” If you’re on a budget, check out 99 Designs or Crowdspring, both affordable crowd-sourcing services. Ask for an image that is a JPEG file and at least 2500 pixels on the longest side with a height/weight ratio of 1.6 (what Amazon recommends in their publishing guidelines). Double check everything and have friends proofread for errors. This is an important step, so don’t blaze through it. If you need more guidance, check out TheBookDesigner.com. Go to kdp.amazon.com and sign in (you’ll need an Amazon account). Register your tax info for royalties. Fill out the form, including book title, description, and keywords you want people to search to find your book. Upload the cover file (JPEG format). Test your book with Amazon’s online viewer to make sure it looks right. Click “Save and continue” and advance to the “Rights and Pricing” page. Choose a 70% royalty rate and select your price, letting the international prices adjust based on the US price. Most e-books are priced $2.99-9.99 (this is what I recommend to maximize your royalty rate). Amazon will email you when the book is ready, which may take 24–48 hours but often happens much more quickly. Now, you’re ready to tell the world about your book. But before you do that, you need some reviews. Reviews are important, because they’re your “social proof” that will legitimize your work to new readers. Before the book’s release, send the book to friends, family, and followers online who would be willing to leave a review. If you don’t know anyone who would be willing to do that, check out StoryCartel.com, a platform that helps authors get free, ethical reviews. Once the book is published, remind your early readers to leave reviews. Expect 25-50% of those who promised, to actually comply. And they don’t all have to be 5-star reviews. In fact, having a few honest critiques of your work will give it a greater authority than a bunch of superficial praise. People can leave reviews on Amazon only a few days before the book is published. So one way to get around this is to publish your book a week before you tell anyone about it. That way, you can build up a good amount of early reviews, which help sell the book to new readers. When it “officially” releases, you can then direct people to the page where they will see some glowing reviews of your work. Send an email to your list of friends, family, and/or blog subscribers, announcing the release of your book. Offer an incentive for those who buy the book. This can be a time-sensitive offer or ongoing opportunity. Andy Traub, who made over $20,000 in 90 days with an eBook, gave away the audiobook, 30-day email course, and exclusive membership to an online community with his book. Make it a no-brainer that people can’t pass up. Promote the book via word-of-mouth and social media. Clicktotweet.com is a great resource for hand-crafting messages that people can easily share. Another effective strategy is to use a launch team of volunteers to help you spread the word. Share your e-book with online forums and book directories. Kimanzi Constable, who sold over 80,000 copies of his books, said this was a key strategy. As the book begins to sell, tell people about it. This is called “social proof” and will create a snowball effect that can help you sell even more. Give the book away. Brandon Clements, who struggled to sell more than a few hundred copies of his novel in a year, decided to give away the e-book version. And in a week, over 60,000 people downloaded it. The next week, he sold another 2,000 copies. 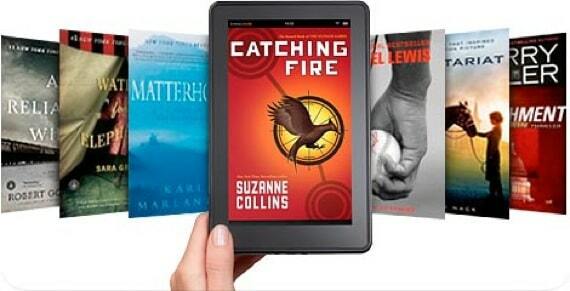 Books can spread pretty fast when everything is digital: the product, the promotion, the distribution. In other words, if you ever wanted to get a message in front of a lot of people, there’s never been a better time. Question: What’s one question or tip you have about self-publishing? Click here to leave a comment.